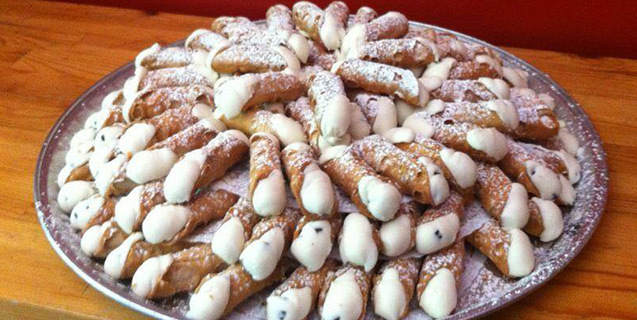 Freshly made cannoli is always a favorite. Our cannoli are filled with fresh filling when you order, keeping their thin shells crispy. The sweet ricotta filling is the perfect treat. You can order one cannoli if you want, or even an entire try for a party. Some of our customer like to make a big impression with their friends and order our large Cannoli platter. Imagine a super large cannoli that contains the filling for many smaller cannoli shells. Your friends will love it!